Are human beings genetically predisposed to prosocial and cooperative behaviour? Are human beings inherently virtuous or evil? Is love self-sacrifice? 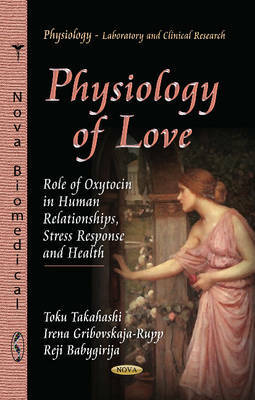 This book was written to answer these questions from the view point of the neuroendocrinology regulating oxytocin(OXT) system in our brain. OXT is synthesized mainly in a section of the brain called the "hypothalamus". While it is well known that OXT plays a crucial role in childbirth by facilitating both uterus contraction and milk ejection, OXT is sometimes called the "love hormone" because it also plays a key role in regulating affectionate behaviours, mother-infant bonding, sexual behaviour, and social memory/recognition. There is a positive loop of attachment-parenting behaviour on each side of the infant-mother relationship. Infants that experience positive interactions with their parents will develop an enhanced OXT system and display positive parenting and socially affectionate behaviours in adulthood.